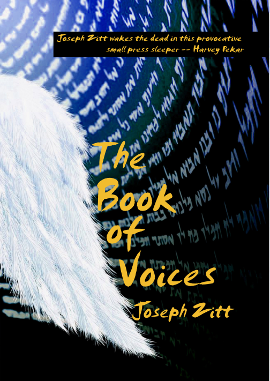 Jacob’s youngest son, Benjamin, senses the contradictions in his brothers’ tales about Joseph’s supposed death, and yearns to escape his family’s control. We know that Benjamin grew up and was the father of a powerful tribe, but his function in the story is that of a child. He is consistently passive, being pulled into events and used, in a sense, as a bargaining token rather than having any personality or actions of his own. This gives Benjamin a unique opportunity to observe his family quietly, and to spot patterns and inconsistencies from the outside. Within the network of expanding secrets and lies based around Joseph’s supposed death, he grows to see the way that the stories don’t coincide. And he also gets to sense the life of stories outside of time and outside the apparently real world. The stories of this family (who probably didn’t really exist) grew and changed over time, being retold, rewritten, and re-imagined over he centuries as the storytellers used the stories to support various themes, both moral and historical. Benjamin develops a sense of these, and looks for a way out of this web that flows from the various angles of time to encase him. Does your family or community have stories of their history that have changed over time? Why have they changed? Have the changes made the stories better or worse?